Mo YiHuai Trying to save the little sandalwood, qu jianglin suddenly appeared and knocked Mo YiHuai off the altar. Qu PanEr Mo YiHuai was immediately stopped at the scene, begging qu jianglin not to hurt him. When the two fight, qu jianglin grinned to urge the magic power, Mo YiHuai suddenly covered his chest and struggled with pain. He felt that his chest was like tens of thousands of worms were gnawing in his body, and then spit out blood and fell to the ground again. Qujianglin was so calm that he had hastened the poison in Mo YiHuai's body just now. Qu PanEr saw the scene and immediately asked what was the matter. Qu jianglin laughed and said that this was her contribution. It turned out that Qu jianglin had given her not any love poison that day, but poison. Mo YiHuai asked qujianglin whether he wanted to rebel against the crown prince, which showed that the ambition of the Wolf son to the world is the qu family, if it was not by the qu family's soul beads, moyifeng how to eliminate the dugu clan by their own efforts, so as to establish the east yue. Qu PanEr heard that he had been beaten by his heart and watched Mo YiHuai dying. She knelt on the ground and begged her father to let Mo YiHuai pass her for his own sake. Qu jianglin was so angry that he ignored her and turned away, leaving Qu PanEr to see the unconscious Mo YiHuai in tears. In order to save Mo YiHuai, Qu PanEr still found a way of detoxification from qujiang Lin -- he swallowed female pranks and introduced male trickery to himself, and his poison was solved naturally. It may be the best ending of her life to die for the one she loves. When she kisses Mo YiHuai, Qu PanEr's heart is even happy, so that her brother can remember her forever. Etc. Mo LianCheng To the underground palace, but found that there are a few shackles, but has been empty. He carefully looked around for the mechanism, and soon found something strange on the statue in front of the device, writhing the two sides of the stone tablet into view, the wall is recording the past of the mohist with the help of the ballad. When he found the mechanism to open the chamber of secrets, a soul appeared in front of his eyes, and small sandalwood was fainting in the center of the hall. She thought he was just a phantom in her dream. She saw her heart crying out her name. She could not help but kiss Mo LianCheng. The two are about to leave, a flying sword shooting, qu jianglin laughed and walked in.Mo LianCheng sneers to remind qu jianglin to absorb the power of zhenhun beads, and to be careful not to belong to their own soul force anti-phage, qu jianglin but tao zhenhun beads are qu's, two people you recruit me one style in the chamber of secrets fight. When Mo YiHuai woke up, he saw Qu PanEr sitting in the corner next to him. When he learned that his poison had been released, he finally relented and said a word of gratitude. As he left, Qu PanEr suddenly asked Mo YiHuai how she had been feeling in her life, even if only for a moment. Only when Mo YiHuai was silent did she realize that she was still not satisfied. 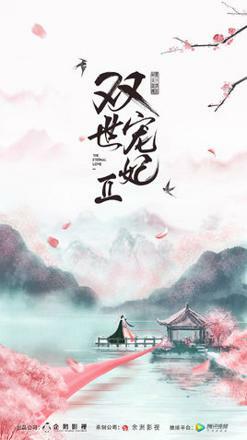 Mo YiHuai is grateful to Qu PanEr for what he has done to himself, but he cannot let go of her in this life, and can only comfort him that if there is an afterlife, he would like to return her to this life with a lifelong infatuation. When Mo YiHuai and Qu YiHuai came out to see Qu jianglin and Mo LianCheng fighting, Mo YiHuai immediately came forward to help but did not care himself. Seeing that Qu YiHuai's flying sword was about to hurt Mo YiHuai, Qu PanEr suddenly flew out to block him. Looking at Qu PanEr vomiting blood fell, QuJiangLin grief, Mo YiHuai pick up Qu PanEr, comfort will have someone to cure her of her own, Qu PanEr that gave a method of poison to tell ourselves, her grip Mo YiHuai's hand, let him remember that only one is qualified to pay for his life of woman, Mo YiHuai just really touched by her at the moment, crown princess promised this life she was the only one. Qujiang came forward to grab the body of PanEr, but he was pushed away by Mo YiHuai. However, he fell to the altar and was stabbed through the heart with a sword. Mo YiHuai didn't look at him. He was leaving with Qu PanEr in his arms. Before he left, he warned Mo LianCheng that everything between them had just begun. Mo LianCheng listens to his words in the heart complex inexplicable, difficult way brother to kill each other is really his whole life can not escape the destiny. When leaving, qu xiaotang gives qu jianglin three heads, is also the body of this father-daughter love. Out of the chamber of secrets, she asked Mo LianCheng that what is written on stone tablets, Mo LianCheng account tell her, first emperor also maple from mainland XuanLing ink, he was also a close friend of Mo LianCheng, Mo LianCheng because some disputes, ink also maple in order to protect Mo LianCheng was not destroyed, with refined qiankun seal his will to dongyue to keep warm, can say, the whole dongyue countries is he built for the Mo LianCheng. When mo yifeng came to the east yue, another person followed him quietly. She was qu xiangtan, the chief of the qu clan. The whole person who listens to little sandalwood is dizzy, Mo LianCheng tells her to remember fondly only, whenever and wherever, she is the only person he loves deeply. Mo yihuai brought Qu PanEr back to wang fu and changed her wedding clothes for her. On his deathbed, Qu told him that Qu jianglin had hidden his secret books and soul beads in the spiritual world, and that she was planning for him until the last moment of her life.